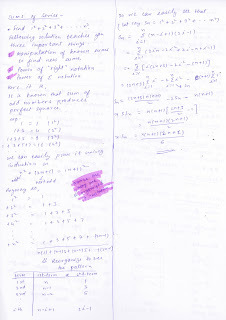 These are my notes from 5th lecture of discrete mathematics course taught at Arsdigita university by Shai Simonson. Other posts relating to this are here. In this lecture, Shai talks about functions and their types definitions i.e. 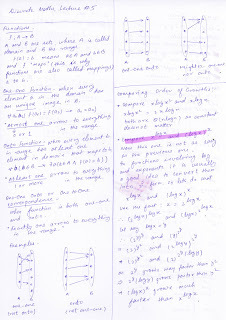 one-one, onto and one-one onto... about comparison of order of growth of functions that involve exponents and log... and finally calculates sum of a series using the powerful concepts of manipulating known sums, describing the problem in appropriate notation(sigma notation).